Rated 5 out of 5 by wonderwiz from Feels So Good I love this product! After using a sample that I received I ordered a regular size. I can almost feel it working. And the citrus scent is wonderful! I will report back in about another month & let you know the results of using Bye Bye Lines Serum. Rated 4 out of 5 by Eay13 from Great base layer Has a silky smooth finish that feels good under my moisturizer. Allows my makeup to go on smoothly. Rated 5 out of 5 by Steiney from I’m 41 and didn’t want to use Botox... I’ve used the “it” liner and mascara for 3 years now. LOVE BOTH. I figured I would look into more “it” products so I came across the bye bye lines. Read the reviews and decided to give it a shot. I’ve been wearing instead of my serum as a moisturizer. My forehead lines have soften greatly and my eye (smile) lines have pretty much disappeared. SERIOUSLY!! It makes your skin feel so soft like a powder feeling. I also notice if I keep my water intake up, the combo makes my skin youthful. I’ve had the product for two weeks now, the results were visible in just three days. I use two pumps and that covers my whole face. Totally stocked on this. How long should this product last if you use it morning and night as suggested. Hi there! Thank you for your question. Bye Bye Lines Serum can last for months depending on how much of the product you're applying, and how often you're using IT. As everyone is different and goes through products at a different pace, how long IT lasts depends on use. We hope this helps. XOXO Tina. Can be used on Laugh lines ? Hi there! Thank you for your question. 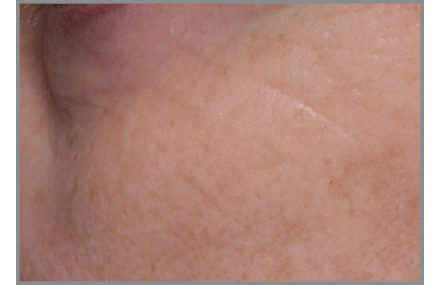 Bye Bye Lines improves the look of tone, texture, firmness, suppleness and elasticity of your skin. You can wear IT wherever you're looking to concentrate on including your laugh lines. We hope this helps! XOXO Tina. Hi there! Thank you for reaching out to us. In deciding to add a serum after use of Confidence in a Cleanser is all about personal preference, and your skin's concerns. You can absolutely wear IT alone, or pair IT with a serum, primer, or moisturizer to leave your skin refreshed, and hydrated. We hope this helps! XOXO Tina. Do I apply Secret Sauce before or after applying this serum? I received a sample of Bye Bye Lines Serum and it transformed my skin after a single application. I purchased a kit on QVC (includes eye cream) and the serum didn't perform near as well as the sample so I returned it. Has the formula changed recently? PLEASE, please, please offer this serum in a larger size. Can you possibly offer a larger bottle? &nbsp;I really like it, but the price point is too much for the size. &nbsp;My skin just drinks this in.